Having a credit card is good for you since it is very convenient on top of boosting your credit score when managed well. People who have more than one credit card may be in an even better position. 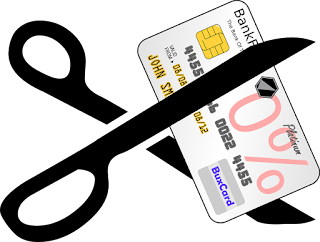 Alternatively, credit cards can be a pain if they are not managed well. Credit card debt can start piling high, which could cause difficulties when paying bills. So, you need to prevent this from happening by following the tips below. Being led by a goal is the beginning of responsible financial management. Ensure that you have a monthly budget to guide you. The big question to ask is whether or not a purchase is necessary. The good thing with a financial goal is the ability to scrape off the unnecessary expenditures. Some can wait anyway. Therefore, the credit card debt will not be as high as it would have been without the financial goal. One thing to know is that the credit card balance is different from the limit. People focus on the limit and continue spending in a given month. If you go this way, you will always find yourself stopping just before the limit. But if you check the balance, you will know the amount that you have spent, which will reduce your spending if it is going beyond your financial goal. The credit card limit may not change, but the balance should change depending on the budget. It is tempting to pay anything using a credit card if you still have available credit. But this habit is highly discouraged by financial advisors. If you read tips from Boostcredit101, they encourage all people to use credit cards on things that are necessary. If you had planned to purchase something with a credit card, then this is fine. But all things that were not planned purchases should be discouraged. This is the only way to succeed in avoiding unnecessary debt on your credit card. If you have more than one credit card, there is a lot of money you can spend before reaching their credit limits. Each card is an opportunity to purchase. Research has shown that people with multiple credit cards spend more than those with one. However, this will pile on the debt at the end of the month. This can be avoided by using these cards carefully. Make use of the tips that we have discussed above to manage credit cards well. The good news is that multiple credit cards play a role in building a better credit score if they are handled responsibly. When purchasing, always look for different promotions and discounts. This means that you will pay less for the same items. If this becomes a habit, your credit card debt will significantly decrease. Make sure that all the items bought are necessary and would have been purchased anyway.